Umatch software creates early & ongoing student engagement & tracks involvement to maximize the college’s retention, resources & reputation. Umatch is a technology company that provides two revolutionary cloud-based student engagement platforms: CampusConnector & SmartRetention. The software creates student engagement at the earliest possible point in the lifecycle of a college student & tracks that involvement to maximize the higher education institution’s retention, resources, & reputation - the most critical issues in higher ed today. Engaged Students = Happy & Successful Students. 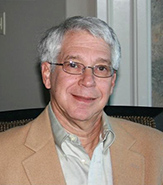 Rick Heller, our Chief Executive Officer, provides us with more than 40 years executive-level experience in the technology industry. As president and CEO of Proxim Inc., Mr. Heller positioned the company for its initial public offering at an $80 million valuation. As president of AiroNet Wireless Communications, Inc.,he positioned the company for its initial public offering in 1999, prior to its acquisition by Cisco Systems. John-David McKee, our President and Chief Operating Officer, oversees marketing and product development for the Umatch solution. Mr. McKee has valuable experience in the fields of marketing, psychology and statistics and is knowledgeable in the field of student retention at higher education institutions. Mr. McKee has a Bachelors in Financial Management and a Masters in Marketing from Clemson University.